Today marks the beginning of WhiskeyFest NW's Whiskeytown USA festival--which pairs whiskey with a natural friend: music. Tonight catch Jackson Boone for a hot, psychadelic mixer. Tomorrow, Blitzen Trapper brings their seasoned folk rock to the stage, a perfect soundtrack to your sippin'. Check out the full schedule and band lineup here. Start your Saturday night early with Catherine Feeny, Chris Johnedis, and Big Haunt at Tender Loving Empire. Catherine Feeny and Chris Johnedis will cool you down with their soulful, compelling tunes. Feeny and Johnedis are celebrating their new release with airy, dark-pop outfit Big Haunt. If you're in the mood for something a bit more bloodthirsty, head to Double Barrel on Saturday to catch a free show from Roselit Bone. Their haunting, chaotic Western music will leave you with whiplash--and they've added an accordian player to the lineup. The band embarks on a West Coast tour this month, and won't be playing in Portland again until June. 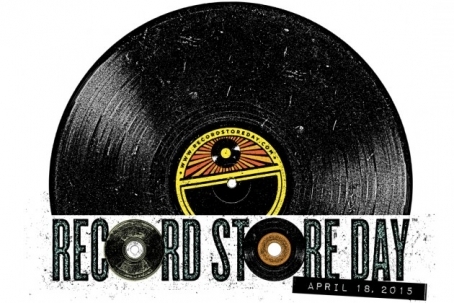 Record Store Day is on Saturday—the best day of the year to stand in line and fight over rare vinyl releases while supporting local businesses. This year, Portland record stores will stock hundreds of RSD exclusive releases, including some local treats. In October, Blitzen Trapper recorded Neil Young’s Harvest in full at the Doug Fir. Score the live album Live Harvest on Saturday. Listen to their take on “Heart of Gold” before you buy the record. Eyelids, Portland’s psych-pop super group, are releasing a split 7” with The Phoenix Foundation, produced by Peter Buck. Pickathon partnered with Easy Sound Recording Company to release a split 7” of Those Darlins and Diarrhea Planet (both from Nashville) recorded live at the festival last summer. Preview the tracks here. 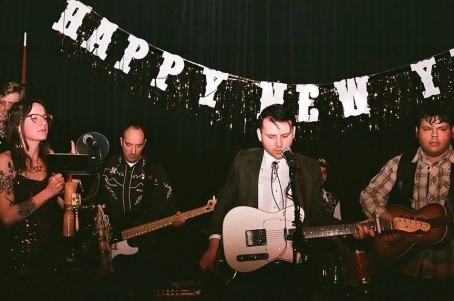 Jackpot Records is releasing a limited edition record of short-lived Portland band No. 2’s No Memory. Mixed by Elliott Smith, the album is “the missing link between the end of Heatmiser and the beginning of Elliott Smith’s major label debut,” according to Jackpot. In store performances abound throughout the day. Everyday Music on the Westside will feature DJ sets by members of Typhoon, Modern Kin, Laura Veirs, Summer Cannibals, and more, plus performances by Edna Vasquez, Ryan Sollee (Builders and the Butchers), Sam Coomes (Quasi), The Shivas, The Ghost Ease, The Ganders, and the Dandy Warhols. See the full schedule here. Tender Loving Empire will host an officially unofficial RSD party at their SE Hawthorne store featuring Genders, Ali Muhareb, and Run On Sentence. Jackpot will pour you free coffee if you peruse their shop or stop in for their DJ sets. Across town, Music Millennium will host Portland punk legends, Dead Moon. Make sure you check out early opening times for your favorite record store, and study the release list ahead of time. 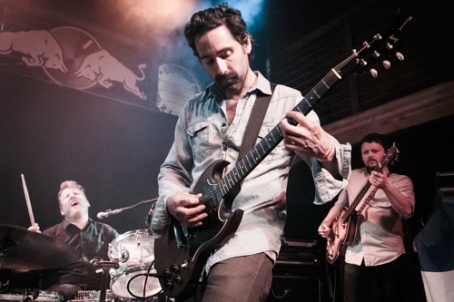 Last Tuesday, July 1st, the Red Bull Sound Select concert series took over Mississippi Studios once again for a night of musical brilliance, featuring Blitzen Trapper, Pony Village and Tiburones (Tiburones are one of the bands featured in our current Artist of the Month poll series! Vote for them here.). Where you there? Photos by Katie Summer. Check out the rest of the photos from the night here!